The WordPress train rolls on. I have just converted Andrew Gough’s site to WordPress to allow him to update the home page with fresh stories and content. 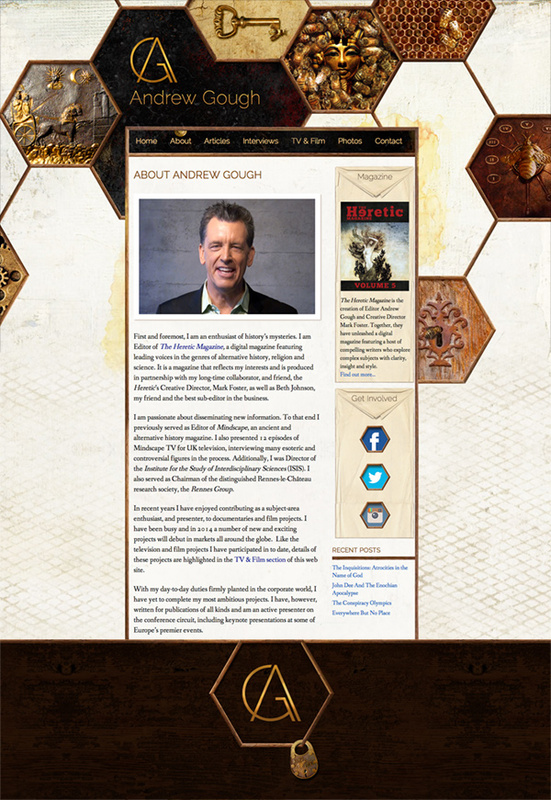 While we were there we conjured up a fresh design for the site and came up with a custom WordPress Theme that really expresses what Andrew Gough’s work is about. All the little details on this one were a lot of fun to create and it was a dream project for me. Besides the new design and the blog, we also added some neat little tricks – like a page where Andrew’s latest Instagram photos are automatically displayed, including links to the full Instagram account. WordPress just gets better and better.